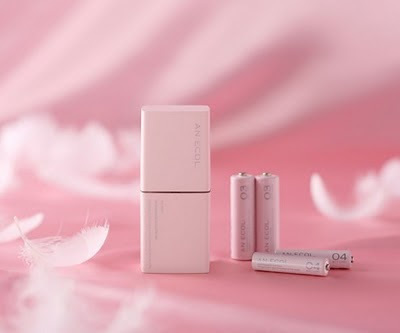 An Osaka based company, Elcom Co., Ltd., has recently unveiled the new rechargeable AAA Batteries dubbed AN ECOL that is built using nickel metal hydride material. The Elcom’s AN ECOL rechargeable AAA Batteries were introduced back in September last year in Japan. Elcom has aimed for those women market that prefers to own a portable, soft color tone casing and the charger’s cover has an easy open lid, at least, no more headache risking to hurt your nail when try to pull out the batteries from the recharger. 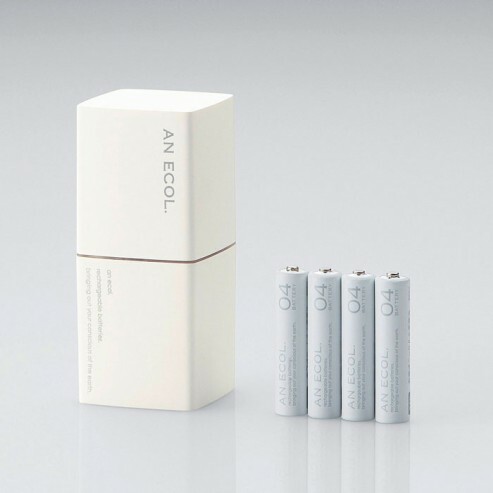 Elcom’s AN ECOL rechargeable AAA batteries were first marketed in the lifestyle shops back in autumn last year, and now you could simply find it at almost any electronics stores in Japan. The recharger works for both AA and AAA type NiMH batteries. The rotatable outlet plug could turn up to 90 degrees angles. The standard outlet can be used without any worries of taking the space of other plug outlets. Maximum batteries for the recharger are four pieces of either AA or AAA type batteries. Available chargers’ colors are pink and white. No info on pricing and availability for overseas market yet, but in case you have good friends traveling to Japan, would you ask them to buy you a set?